The latest craze for sneakers has helped luxury designer brands think out of the shoebox. Marking a departure from conventional beauty and balance, designer brands have been introducing some experimental designs for sneakers and flat shoes. But the competition for the coolest style has turned into an effort to make shoes as ugly as possible. 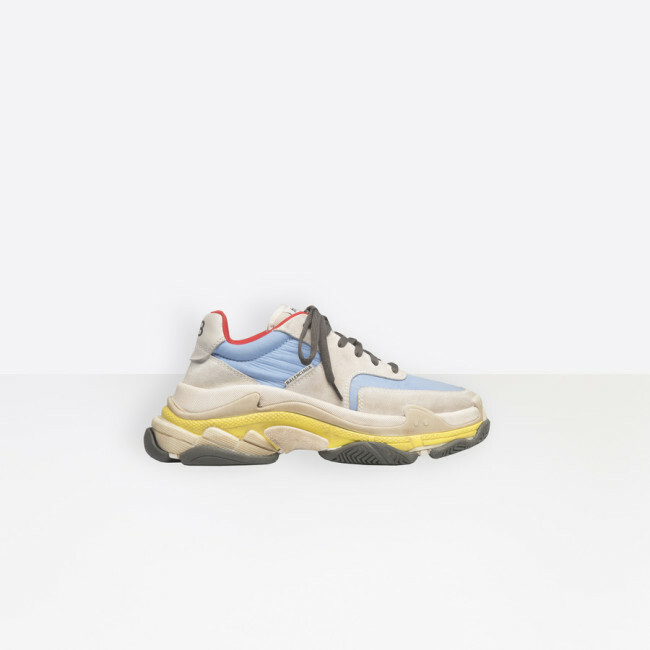 From Balenciaga’s Triple S Trainers, Gucci’s Rhyton to Louis Vuitton’s Archlight, sneakers from those luxury brands are all part of the trend for “ugly shoes.” And they have become a mainstay both in high-end and street fashion. 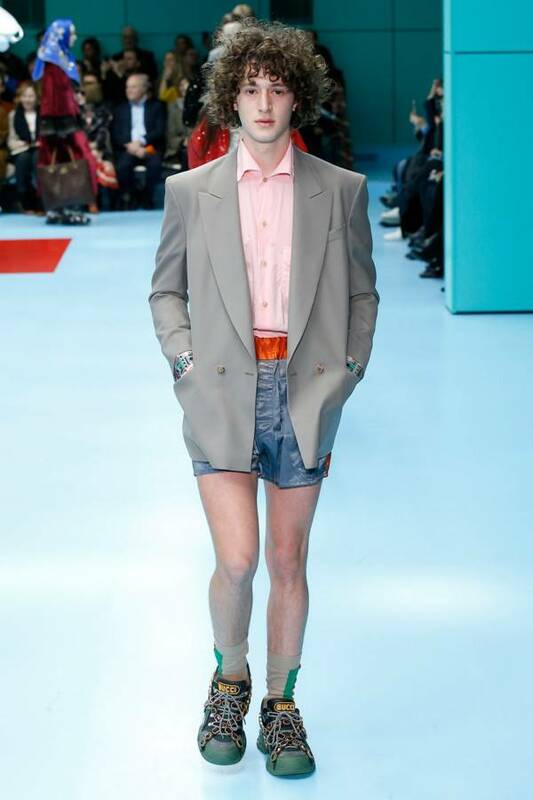 Those sneakers are oversized, clunky and in somewhat unexpected combinations of colors. For example, the Triple S by Balenciaga, the OG of ugly shoes, is named after the three soles that make the shoes really bulky. But they turn magically stylish when matched, for example, with a trench coat, boxy sweatshirt and a pair of torn jeans. “Such ugly shoes have become trendy items these days due to the popularity of streetwear and retro styles from the 80s and 90s,” said Chae Kyung-rak, a merchandizer for designer shoes at Galleria Department Store based in Apgujeong-dong, southern Seoul. Streetwear is a style of street fashion encompassing elements of sportswear that rooted in surf and skateboard culture, hip hop fashion and modern haute couture fashion. Because streetwear styles featuring boxy tops have gone mainstream, people are turning to sneakers that go well with those styles. One of the hottest ugly shoes is Versace’s Chain Reaction, slated for an official launch in September. A pop-up store is being held at Galleria’s West building until July 26. 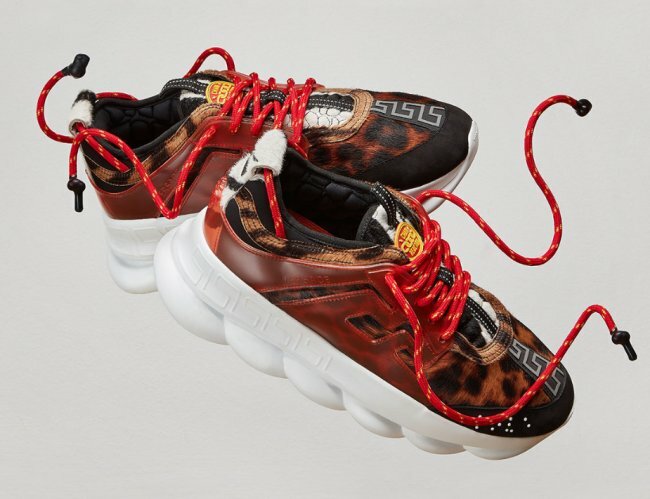 The upcoming Versace shoes feature a various mix of materials from leather, suede, tiger skin to semi-transparent synthesis, and not to mention, vivid colors. The soles of Chain Reaction look alike the chain pattern in details. 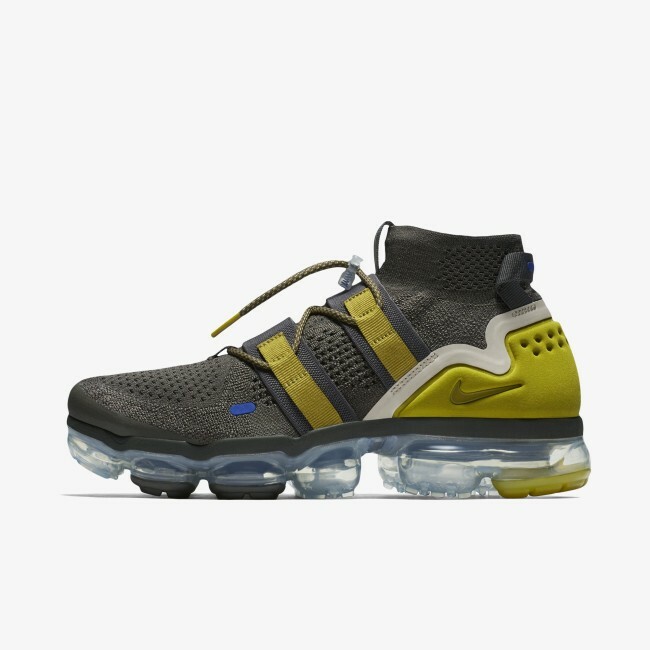 As seen in the latest Versace sneakers series, luxury designer brands are increasingly adopting the streetwear concept and introducing shoes that match well with the casual look, as well as some retro looks. In doing so, high-end luxury brands are making unexpected collaborations with streetwear brands in order to be leading the hot trend. The Louis Vuitton X Supreme collaboration on menswear collection last year is the best-known example in the fashion world. Designer Kim Jones who led the collaboration project at Louis Vuitton has recently been scouted by Dior, raising expectations about what he will come up with at the house. Meanwhile, sportswear brands are leading retro ugly shoe trends on their own. “Nike has also contributed to the expansion of street fashion, owing to the success of Nikelab by Hiroshi Fujiwara, who spread Japanese street fashion to the global fashion industry,” Chang said. Nike is continuing to re-launch limited editions of the original Air Max 95 and 97 series, and Air Jordan from the 80s and 90s. Adidas is belatedly joining the tide with the Falcon and Yung 1 series.